Observation notes: Sunny and clear, no wind, about 75F. 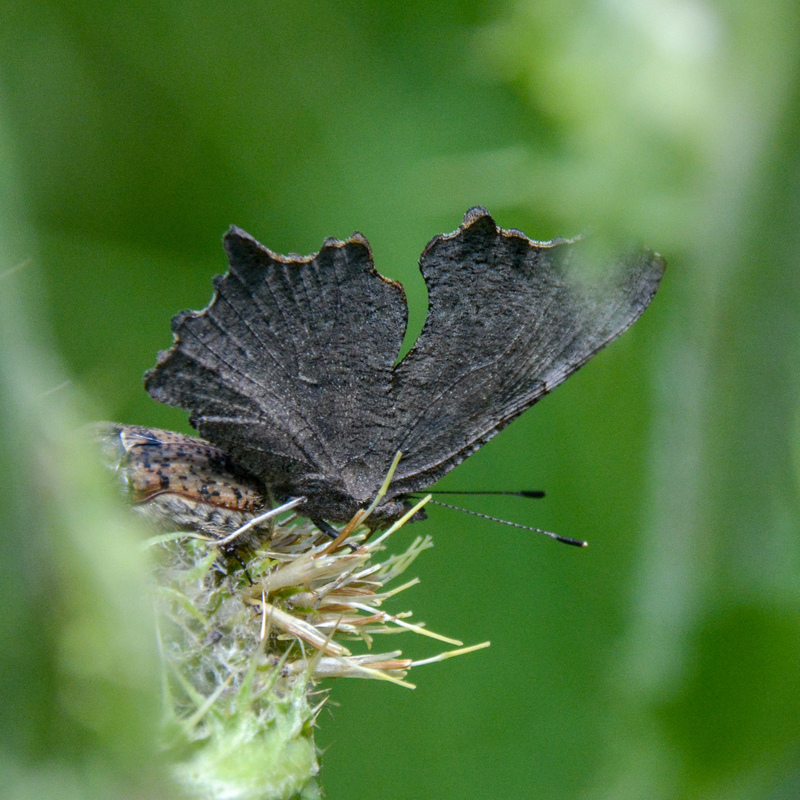 Numerous Leps nectaring on diasies and thistles. Coordinator notes: most Polygonia have warm and cool season morphs, though this is very uniformly gray below.. I could not have IDed this butterfly without the dorsal shot; the hindwing submarginal orange spots are definitive. 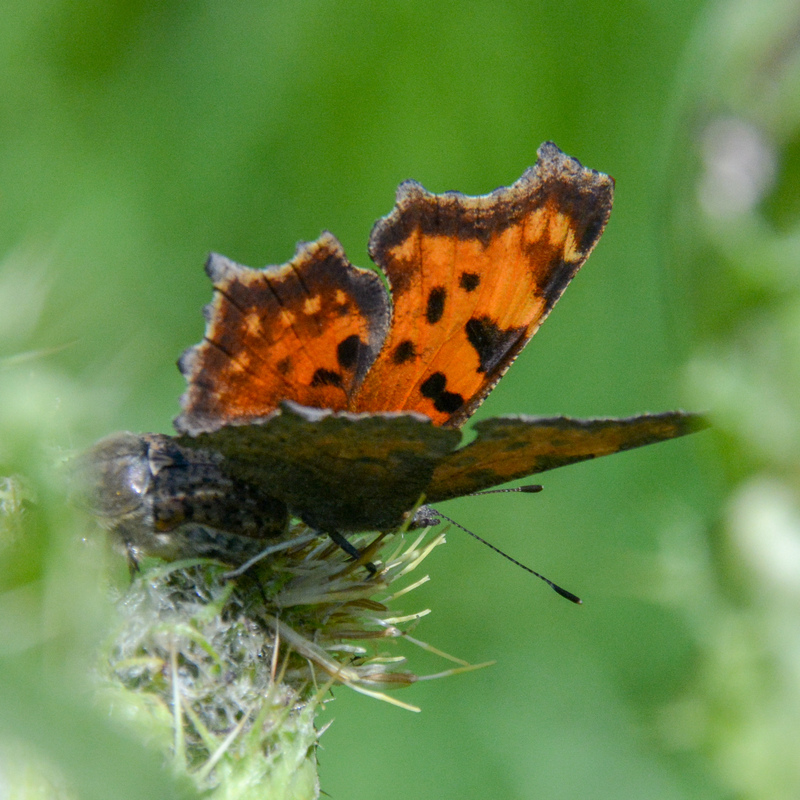 Green Comma had a good year last year, so maybe some unusual variants in the mix. thanks for submitting!